Our vision is to give you the best medico-aesthetic care to help you work, rest and live your life at your best! or an important business or VIP meeting in the best way possible. If you work so hard, it means you can also allow yourself to plan out some time to make yourself look more attractive, healthier, refreshed, more relaxed and better both for your private, professional and social life. You deserve to get only the best treatment possible and we are happy to be able to satisfy your medico-aesthetic needs. Please remember... when you come to our exclusive clinic, you just need to "Relax & Get Back Your Health and Beauty"! Ultra-modern medico-aesthetic and rejuvenation (anti-age) therapies where laser and non-laser light (LED photonic therapy, intense pulsed light - IPL) technologies as well as microdermabrasion and other techniques, such as plasma therapy, bio-electric pulsed technologies, ultrasound, radiofrequencies, vacuum therapy are used as the main therapeutic factors to treat beauty and aging problems, keeping in mind the fact that medicine should be natural and harmless (side-effectless) to our patients. The intrinsic infrastructure of the VIP LASER CLINIC Med Spa center is designed to provide medico-aesthetic services on a day-care basis, thereby significantly reducing costs of treatment by avoiding the high costs of routine hospitalization and so on. Laser/E-Light Hair Removal (Laser Photo-Depilation). Laser Treatment of Active Acne, Acne Scars & Dark Hyperpigmented Acne Spots. Laser Treatment of Hyperpigmentations - melasma/chloasma, café-au-lait spots, lentigines/age spots. Treatment of Dyspigmentations & Vascular Changes due to sun damage. Laser Removal of Dark Eye Circles. Laser Skin Lightening by Carbon Laser Peel Procedure. Laser Skin Resurfacing for a new, smooth, polished and rejuvenated skin surface. Medical Microdermabrasion Skin Resurfacing for a new, smooth and polished skin surface (Mechanical Exfoliation). Laser Skin Tightening & Rejuvenation (removal of skin folds and wrinkles) - Laser Anti-Aging Treatment. Thread Lifting for eliminating wrinkles & folds (for skin tightening) of the face, neck, breasts, abdomen, hips, buttocks, thighs, calves, etc. Botox Injections for Facial Wrinkles. Botox injections for excessive sweating - under arms, hands, etc. Facial Fillers for making facial skin folds disappear. Fillers to correct physical defects (natural, accidental or surgical hollow deformities) on the face and body surface. Laser Removal of Stretch Marks (vergétures). Micro-Fractional Radio-Frequency Removal of Stretch Marks (vergétures). Laser Treatment of Cellulitis and Cellulite (peau d'orange). Laser Removal of Scars due to accident, surgery or burns. Laser Removal of Skin Tags (Acrochorda). Laser Removal of Benign Epithelial Tumors (Papillomas). Laser Removal of Moles (Naevi/Nevi). Laser/E-Light/Radiofrequency Removal of Spider Veins. Endovascular Laser Treatment (EVLT) of Varicose Veins. Laser Removal of Vascular and Pigmented Birth Marks. Laser Treatment of Naevus of Ota. Laser Removal of Tattoos of all colors. 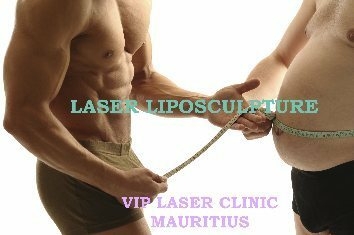 Surgical Laser Removal of Fats under local anaesthesia (Slim Laser Intervention, Interventional Laser Lipolysis, Liposculpture). 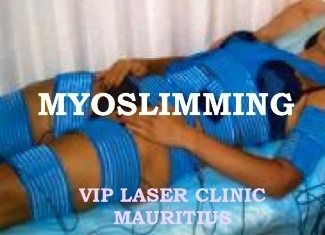 Non-Surgical Laser Removal of Fats - I-Lipo Laser Slimming, VIP Ultimate Body Slimming (Non-Surgical Lipolysis). Surgical & Non-Surgical Body Contouring/Shaping (fat removal & skin tightening procedure). Skin Lifting around the eyes, neck, abdomen, back, thighs, etc. Blepharoplasty (surgical removal of excess hanging skin on the eye lids). Laser Treatment of Hair Loss & Alopecia. Surgical & Non-Surgical Rhinoplasty (Nose Job to correct nasal deformities). Surgical Otoplasty for correcting cosmetic ear defects. Interventional Breast Augmentation (Breast Fillers' Injections under local anaesthesia). Surgical Breast Augmentation (Insertion of Breast Implants under local/general anaesthesia). Surgical Laser Breast Reduction under local or general anaesthesia. Laser Treatment of Breast Cancer at an early stage in order to prevent breast ablation. Laser Removal of Breast Tumors at an early stage in order to prevent breast ablation. Surgical Laser Breast Reconstruction After Breast Ablation. Laser Treatment of Hypopigmentations, such as Vitiligo. Vulvar & Vaginal Laser Rejuvenation. Colon Hydrotherapy (Bowel Cleansing for rapid detoxification, weight loss, treatment of colon disorders, etc.). For information on any medico-aesthetic services interesting you (even those not listed here), please call at the reception of the VIP LASER CLINIC Med Spa on tel. +230 465 70 80. Our secretary will gladly help you out.